The DTH hammer acts as a role of converting the air pressure to the impact energy, simultaneously transferring impact energy and rotation force to DTH bits. The DTH bits is the tool cutting rock. Sinodrills DTH bits are made of superior quality alloy steel which is made by Timken in U.S. 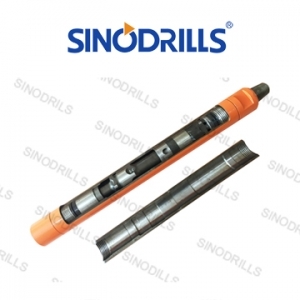 Besides, all our DTH bits are using the brand "Element Six" T.C carbide which provides (the T.C buttons) for Boart Longyear. 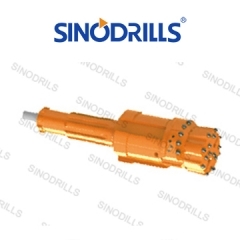 In addition art manufacturing technology makes our DTH bits with higher and more reliable quality. Different face style makes DTH bits suitable for various rock conditions. Flat face: This is an universal design, especially for hard and abrasive rock formation. So typically, flat face with hemi-spherical buttons design is the most popular choice. Convex face: A classic design for soft to medium hard rock formation which is not so abrasive. 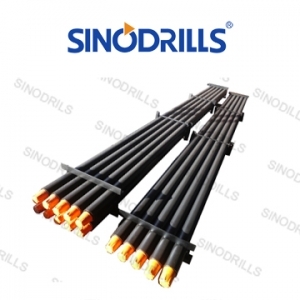 This design have very excellent penetration rate but poor in hole deviation if rocks are hard. Concave face: Medium hard to hard rock formations which is less abrasive and fractured. 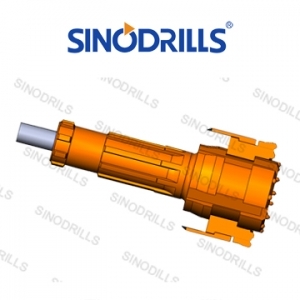 Especially for deep hole drilling, excellent control over hole deviation. DGR face: A special design for hard or very hard rock conditions, double gauge row buttons provide very excellent ware-resistance and very longer life time. It is usually used for some bigger diameter DTH bits. Add : 16F, Xiongjun International Building, Weiqing Road Guiyang, 550003, Guizhou, China. 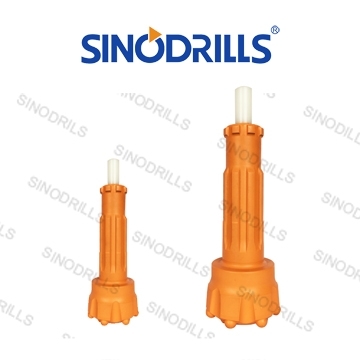 © Guizhou Sinodrills Equipment Co.,Ltd. . All Rights Reserved.